Careful handling is our mantra. Although we are fully insured, damage is something that we ALL absolutely want to avoid at all costs. Delicate, highly polished, painted or antique furniture is treated with the utmost care by us. We use a variety of methods to wrap and protect your furniture including reusable Strongwrap™ protective covers, Export wrap (double laminate paper and fibre combination) and Furniguard™ (specialist extra strength bubble wrap for furniture). We have specially made shipping crates to store smaller antique items and breakables. Smaller items will either be boxed with biodegradable void fill or air pillows and crated or blanket wrapped and crated to ensure safe transit. Pictures and paintings will be stored together in sealed crates with cardboard inserts for protection. 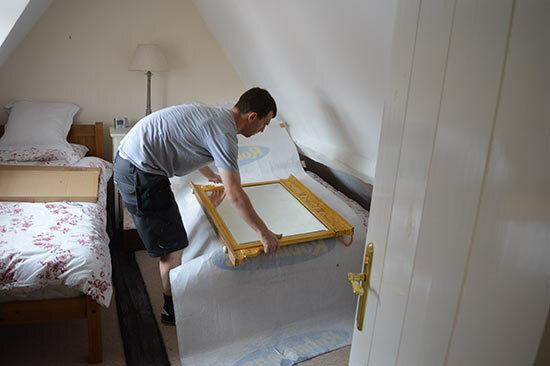 Valuable or highly fragile paintings and artworks can be stored in bespoke, single item crates with foam inserts.